Brisk walks along the promenade, the smell of the salty sea and the sound of seagulls; we love the seaside and Dorset is home to over 20 sandy beaches. In this blog, we’ll be showing how you can bring the sights and smells of the Dorset seaside into your own home. 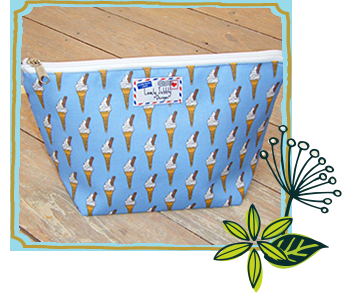 We love this ice cream wash bag, perfect for packing up the essentials before a weekend away at the seaside. 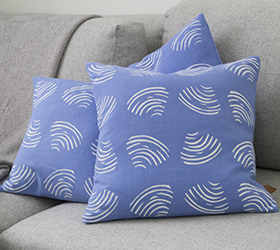 Snuggle up with this clam print cushion. Rest your head on it and you might even be able to hear the sea. 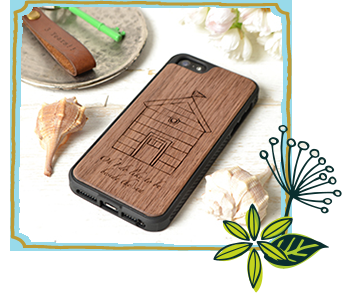 Carry a taste of the seaside with you with an iPhone case and keyring, sure to bring a touch of our beautiful Dorset coastline to even the most landlocked of days. Dorset is famous for our Jurrassic coast. Re-live memories of fossil hunting at Kimmeridge with an Ammonite half. Sure to bring home memories of fossil hunting in Kimmeridge. If all else fails, a cup of Dorset Tea should be enough to transport you to the windy cliff side at Durdle Door, and it doesn’t get much more Dorset than that. We’re sure that with a few of these seaside touches you’ll feel the sea breeze in your own home before you brew your next pot of tea. All items featured are made locally in Dorset.